It’s the second most common form of dementia, affecting 1.2 to 4.2 percent of men and women over the age of 65, depending on their country of origin. And vascular dementia, many experts believe, is underdiagnosed. Understanding the causes, the early signs of vascular dementia, and vascular dementia symptoms can be key in disease detection. The medical records of more than four million people revealed that heightened blood pressure was associated with a 62 percent higher risk of vascular dementia between the ages of 30 and 50, according to a recent study by the George Institute for Global Health. What is vascular dementia? It refers to a spectrum of cognitive impairments resulting from damage to blood vessels in the brain. Stroke, either a significant singular stroke or multiple smaller strokes, is a major cause of vascular dementia (VaD), but any disease process that damages blood vessels in the brain can also result in VaD. Atherosclerosis (the build-up of plaques in the walls of arteries), high blood pressure, diabetes, lupus erythematosus, and temporal arteritis are all diseases that can cause VaD. People suffering from any of the disease processes that can damage blood vessels are at risk of developing VaD. Additionally, people who smoke, are overweight or obese, or who have elevated levels of low-density lipoprotein (LDL) cholesterol—the so-called “bad” cholesterol— have an increased risk of VaD. A history of heart attack or atrial fibrillation (an abnormal heart rhythm) also puts you at risk for VaD. Epidemiologic evidence suggests that VaD occurs slightly more often in men than in women and is more common in African-Americans and men in Asian countries. CHOLESTEROL FLUCTUATIONS A FACTOR IN STROKES? The connection between heart and brain health is underlined by a study associating greater fluctuations in LDL (“bad” cholesterol) levels with worse cognitive function in seniors. The study (Circulation, July 19, 2016) included 4,428 older adults who underwent standard memory tests. Compared to people with the lowest variability in LDL, those with the highest LDL variability took 2.7 seconds longer, on average, to name the real colors of color names written in different ink (for example, the word blue written in red ink). Greater LDL fluctuations also were associated with lower brain blood flow, and a greater number of white matter hyperintensities (tiny lesions that have been associated with a greater risk for AD). High cholesterol is associated with a build-up of an abnormal protein called beta-amyloid in the brain, notes neurologist Sam Gandy, MD, PhD, director of Mount Sinai’s Center for Cognitive health and NFL Cognitive Care. It is believed that beta-amyloid deposits contribute to AD by destroying the brain cells’ ability to communicate with each other, Dr. Gandy told Focus on Healthy Aging. In mouse studies, lowering cholesterol works like magic: beta-amyloid melts away—but no human trial has come close to achieving the same result. Further studies are needed to examine whether these data could be useful in clinical practice, but right now they support expert advice to follow healthy lifestyle measures that can help maintain normal cholesterol levels. What Are Vascular Dementia Symptoms? The symptoms of VaD can range from mild to severe depending on the area of the brain affected and the cause (e.g. a major stroke in a critical area of the brain will likely cause more dramatic symptoms than chronic diffuse blood vessel damage from high blood pressure). The classic pattern of VaD symptoms, however, is a step-wise pattern in which loss of mental skills occurs in relatively abrupt “steps” as opposed to the gradual loss seen in Alzheimer’s disease (AD). Diagnosing VaD involves a multimodal approach: medical history, input from a family member or trusted friend regarding daily function, a physical examination (including a detailed neurologic exam), laboratory testing, and radiologic imaging. Dementia is often easy to identify; however, diagnosing VaD as the cause of dementia is more complicated given the absence of a specific test for it. If you don’t have a known history of one of the underlying diseases that can cause VaD such as high blood pressure, diabetes, or atherosclerosis, your doctor may decide to test for these conditions by measuring your blood pressure, blood cholesterol levels, blood glucose levels or hemoglobin A1C. Additionally, he or she may test for thyroid disease and vitamin deficiencies (such as B12 deficiency) to rule out those as causes of dementia. A carotid ultrasound may be performed to evaluate the carotid arteries, the large arteries that supply the blood vessels of the brain, for evidence of plaque build-up. Computed tomography (CT) or magnetic resonance imaging (MRI) can help identify structural changes in the brain, including blood vessel abnormalities and evidence of strokes. 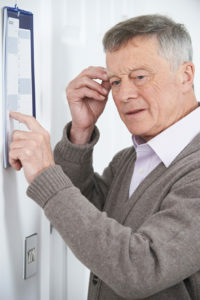 Diagnosis of dementia is made based on comprehensive neurocognitive testing. Imaging evidence, typically with MRI, exists of either stroke or vascular abnormalities in areas of the brain that would be consistent with the deficits seen on neurocognitive testing. There is no evidence of other factors contributing to the dementia. Vascular dementia cannot be reversed, but treatment can, in some cases, slow or prevent its progression. 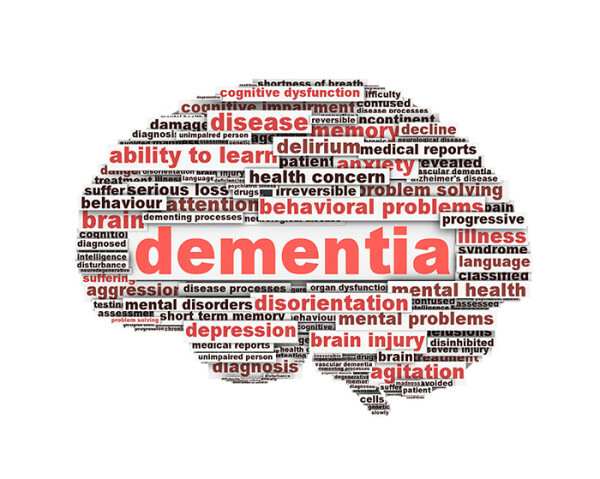 Vascular dementia treatment involves controlling the underlying conditions that may have contributed to blood vessel damage. Healthcare providers may prescribe medications to control blood sugar levels if you have diabetes, lower your blood pressure if you have hypertension, lower your cholesterol levels if you have atherosclerosis, or reduce your risk of developing blood clots that can lead to stroke. Lifestyle modifications such as smoking cessation, exercise if feasible, and eating a healthy diet can also help control these diseases. While the U.S. Food and Drug Administration (FDA) has not approved any drugs specifically for VaD symptoms, some patients have seen improvement with medications approved for treatment of AD symptoms. Cholinesterase inhibitors: Donepezil (Aricept), rivastigmine (Exelon), and galantamine (Razadyne) are all drugs that prevent the breakdown of acetylcholine, an important neurotransmitter or chemical messenger in the brain. Boosting acetylcholine levels in patients with AD has been associated with reductions in anxiety and improvement in memory, concentration, and daily functioning. N-methyl-D-aspartate (NMDA) antagonists: Memantine (Namenda) is a drug that blocks the effects of excess glutamate, another neurotransmitter in the brain. Damage to brain cells in AD causes a release of glutamate which in turn can cause further damage. Reducing the effects of glutamate has been shown to decrease disorientation and agitation and improve daily functioning in some people with AD. VaD can significantly shorten life expectancy. Treatment can help slow the progression and reduce symptoms, but statistics demonstrate that on average people live four years from the time of diagnosis. It may be even shorter—three years—for those whose VaD is due to a stroke. acetylcholine, aging, alzheimer, alzheimer s association, amyloid deposits, anxiety, aricept, atherosclerosis, atrial fibrillation, b12, b12 deficiency, bad cholesterol, bad cholesterol levels, balanced diet, beta amyloid, blood cholesterol, blood cholesterol levels, blood clots, blood glucose levels, blood pressure, blood sugar, blood sugar levels, brain, brain damage, brain health, causes of dementia, cholesterol, cholesterol levels, cholinesterase inhibitors, cognitive function, control blood sugar, dementia, dementia diagnosis, dementia life expectancy, dementia symptoms, dementia treatment, depression, diabetes, diagnosis of dementia, diet, donepezil, exelon, exercise, focus on healthy aging, food, galantamine, glucose, glucose levels, health, healthy aging, healthy balanced diet, healthy diet, healthy lifestyle, healthy weight, heart attack, heart disease, high blood pressure, high cholesterol, hypertension, ldl, ldl cholesterol, lipoprotein, low density lipoprotein, lower your blood pressure, lower your cholesterol, lowering cholesterol, lupus, memory, memory loss, memory tests, namenda, neurotransmitter, normal cholesterol, normal cholesterol levels, protein, razadyne, risk of heart disease, rivastigmine, smoking, stroke, sugar, sugar levels, thyroid, vascular dementia, vascular dementia life expectancy, vascular dementia symptoms, vascular dementia treatment, vascular disease, vitamin, what is vascular dementia.